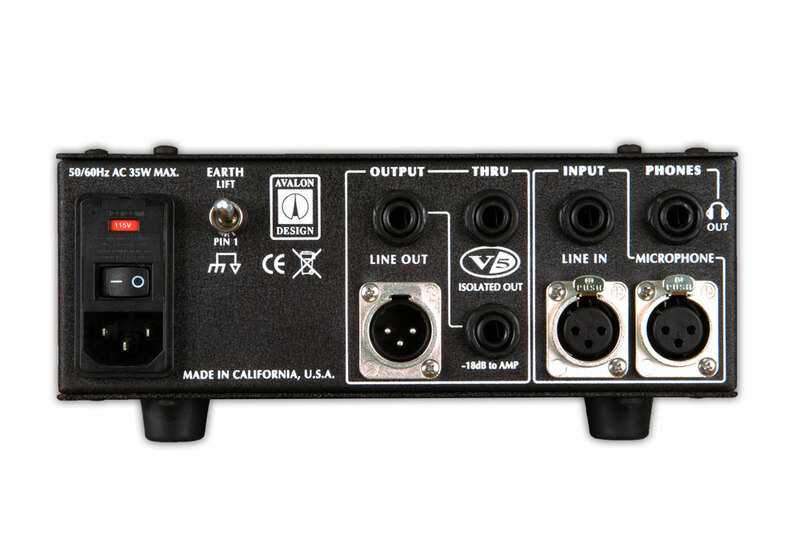 "The V5 delivers Deep and Controlled Bass with a Musical Midrange for enhanced Vocal projection and Instrument resolution"
""the Avalon V5 will capture every magical performance and continues Avalon's passion and commitment to SONIC EXCELLENCE!" 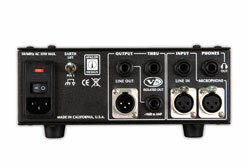 Avalon DI-preamplifiers have been in use around the world since 1985. They have found their way into the world's leading musicians rigs and recording sessions and have been featured on thousands of the best selling (and sounding) albums, downloads and live performances. 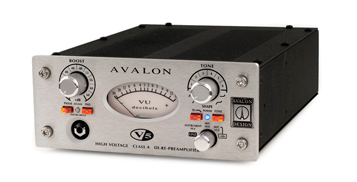 The V5 includes the best of the Avalon U5 DI functions with a studio quality preamplifier and "a new sonic addition". 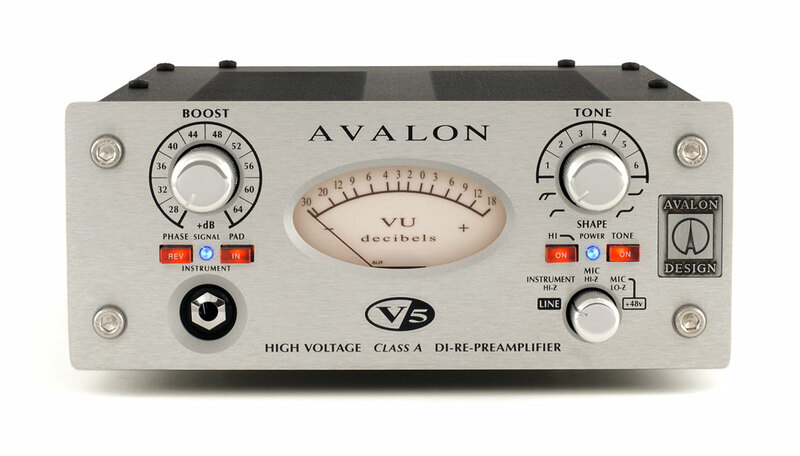 Two alternate solid-state topologies are cascaded to provide a rich, low midrange harmonic content not offered in other Avalon preamplifiers. This feature empowers the V5 with a new scale of sonic character.